A coroner has decided that a sailor who died from the effects of alcohol and heroin probably had the drug adminstered to him by someone else. 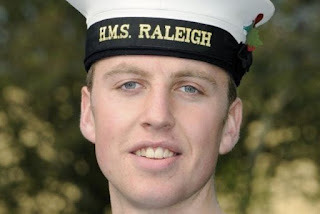 Engineering Technician Charles Warrender, who was 22 and served in HMS Richmond, was found dead in the Seychelles in May last year. His family are upset at the inquest verdict, saying they believe he was unlawfully killed. ET Warrender was found dead in a park in the Seychelles capital Victoria, with his socks and shoes beside him and an empty wallet. A quantity of high-grade heroin had been sprinkled over his chest. He had been on a night off as part of the crews’s celebrations of the Queen’s birthday.